You have waited all year, not so patiently, for this night to come, and now it has finally arrived. Graduation is just around the corner, and you’ve made it. But first comes the biggest night of your life. It’s a once in a lifetime, Cinderella fairy tale experience. Make an entrance everyone is sure to talk about by booking private transportation for Prom. Prom and limousines are synonymous with one another – the VIP service, door-to-door service, and the elegance of a uniformed driver. Meanwhile, parents can rest easy, knowing their children are under the watchful eye of a licensed professional, keeping them, and their belongings, safe. With over 25 years of experience, we are fully licensed and insured. All of our vehicles are maintained in-house to ensure top quality standards. Our drivers are fully documented and licensed, with comprehensive insurance coverage to ensure the security of you and your guests. Make sure it’s a night to remember with Sam’s Limousine. We have a full fleet of black car sedans, stretch limousines, shuttle buses, and plush party buses to make your prom a night you will always remember. From big to small groups, any size groups, we can accommodate you. Go for the understated elegance and romance of black car service, or reserve an SUV for smaller groups, also allowing you more room for those overnight bags and emergency prom kits. Party buses are a more upscale, luxurious option. 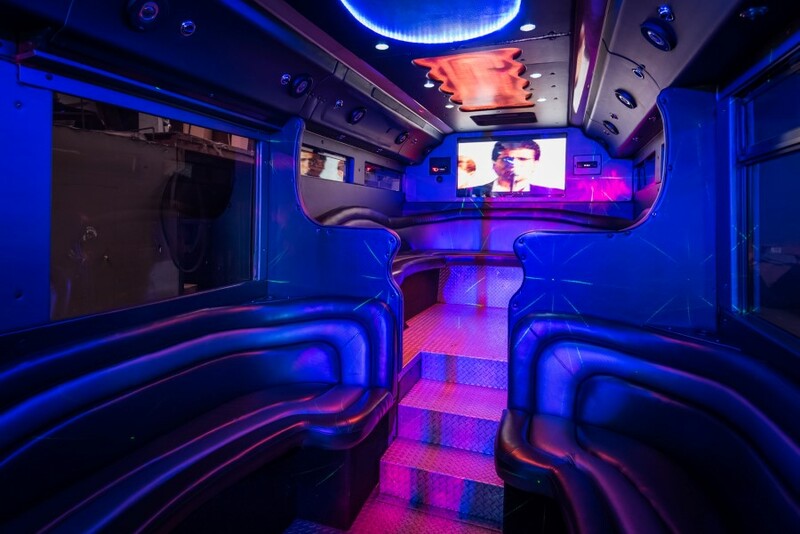 Your very own personal nightclub on wheels in our party buses with incredible, flashy features and plush accommodations. Perfect for school-sponsored travel and events, larger groups will appreciate the space and affordability of a bus that allows the entire group to ride together and arrive safely. Make your night picture perfect, with all the modern amenities your group will appreciate. Complimentary Wi-Fi for immediate posting of those prom pictures! Ditch the traffic and parking issues and instead enjoy the occasion! We offer complimentary non-alcoholic beverages and ice with sparkling glassware for the perfect toast to your achievements. Skip the Uber – Ride sharing services, while hailed for their availability, are actually incredibly expensive. They also do not offer the luxurious accommodations that should accompany such a special occasion, and they end up costing a fortune with inflated costs and surge pricing. Book early – This is a busy season, and by booking earlier, we are able to offer you the most competitive price. Contact us today to see what specials and deals we are able to offer your group! Confirm your group – You’ll want to make sure that you have the right vehicle to comfortably fit your group. We offer a full fleet from intimate sedans to party buses. 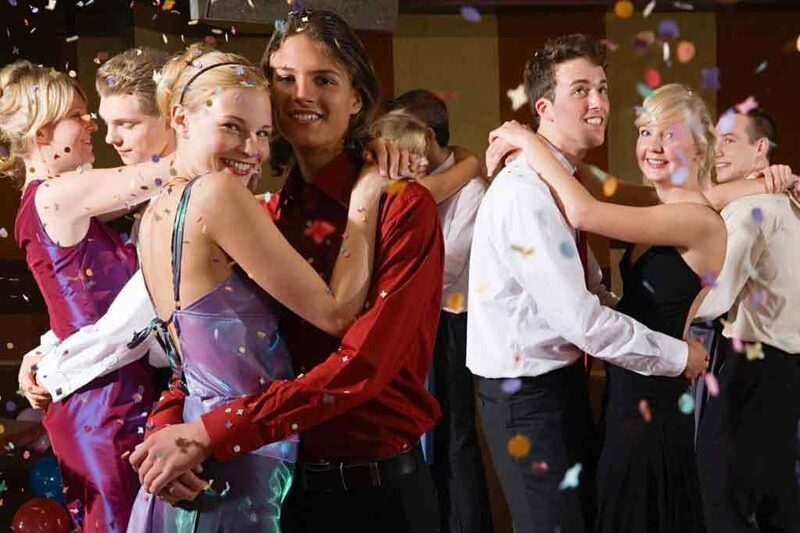 The average prom rental package is usually 6 to 8 hours. Split the tab! – Splitting the rental between you and your best friends, an already affordable rental becomes even more affordable. 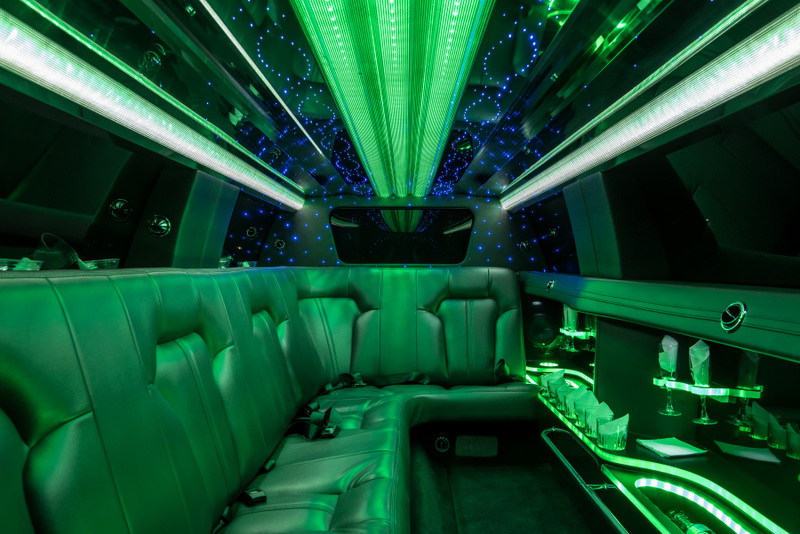 With the money saved, you can upgrade from a stretch limousine to a party bus. Or use those savings to book your personal ride for a few extra hours for a post-prom snack! You’re the boss – Work with our dedicated customer service representatives to plan your perfect itinerary for the night. Want an extra stop to grab a special photo at your favorite park? Need to make a quick stop at the drug store to grab last minute accessories? No problem. We’re here to make your night perfect. Fill out an online form to request a quote with no obligation. Most importantly, do your research! We know it’s tempting to book the cheapest vendor (hey, we have bills, too! ), but there’s a reason why the price tag is so low. Maybe it’s a brand-new company, and you’re the maiden voyage with an unexperienced driver. Maybe it is unlicensed, unregistered, or worse, a scammer. Reports of assault and theft dominate the daily papers with popular ridesharing services, and it can make parents incredibly uneasy when sending their children off to prom. You can rest assured that you and yours will be safe with Sam’s Limousine. Hear from our clients themselves! Throughout Houston, Austin and beyond, we strive to offer unparalleled luxury, comfort, and service with the most affordable pricing. Sam’s Limousine will allow the pampering you need and deserve to end your high school career. It’s your final chance to bid high school adieu – make it incredible with Sam’s Limousine. Contact us today to see how Sam’s Limousine can help make your prom one to remember.